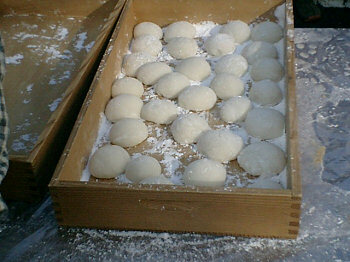 Mochi (Japanese: 餅) is a Japanese rice cake made of glutinous rice pounded into paste and molded into shape. In Japan it is traditionally made in a ceremony called mochitsuki. While also eaten year-round, mochi is a traditional food for the Japanese New Year and is commonly sold and eaten during that time. Mochi is also a prominent snack in Hawaii and Taiwan. IT is New Year's Day in Japan. The Hada family is eating a special New Year's soup. The soup has chicken, vegetables, and mochi in it. 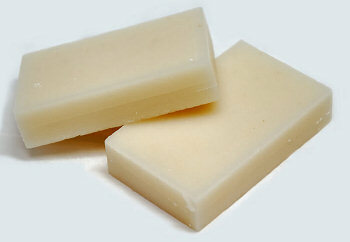 Mochi are rice cakes. Grandfather Hada likes mochi. He takes a big bite of mochi. Then he begins to cough. Grandfather Hada coughs and coughs. He can't stop coughing. The mochi is stuck in his throat. Grandfather Hada's face is purple. He can't breathe. Someone runs to the phone and calls an ambulance. When will the ambulance arrive? Maybe in five or ten minutes. That will be too late. Grandfather Hada's daughter gets the vacuum cleaner. She turns the vacuum cleaner on and turns the power to "high." She puts the vacuum cleaner hose into Grandfather Hada's throat. Whoosh! The mochi comes out of his throat and goes into the vacuum cleaner. Now Grandfather Hada can breathe. Nine minutes later, the ambulance arrives, and paramedics check Grandfather Hada. He is fine. Next year, on New Year's Day, the Hada family will eat a special soup. The soup will have chicken and vegetables in it. But it will have no mochi!